Trump's fraudulent fraud commission has been disbanded after a ton of lawsuits and massive blue state resistance. 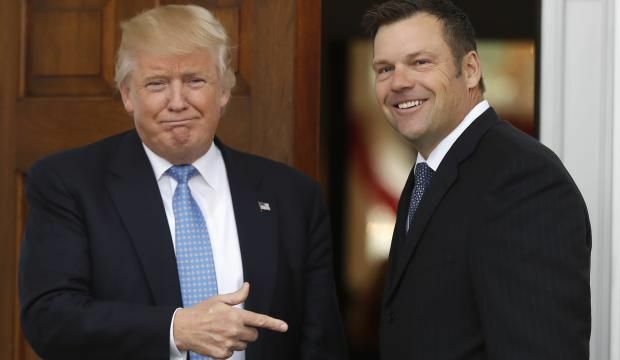 Commision chair Kris Kobach who had previously lived off a record of losing statewide legal battles aimed against immigrant college students has now elevated himself to be a loser of national proportions. Thankfully for him, his benefactors are so blinded by immigrant hate that this massive loss will not deter them from funding his next attack on compassion and the rule of law. While this is good news for the democratic process resistors cannot rest. Over the last decade voting rights have been picked apart state by state in order to prop up the leadership of Paul Ryan, Mitch McConnell, and various Republican state legislative leaders. Only a continued vigorous effort and a sustained movement will restore what the GOP has so skillfully taken away from voters of color. The resistance should breathe in this victory, pat itself on the back, and quickly affirm that it is not tired of winning yet.